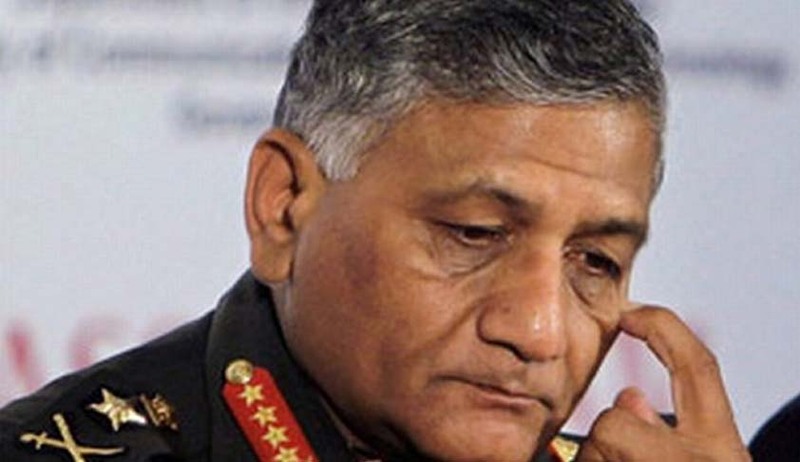 Ex-Army chief Gen V K Singh had to bear Supreme Court’s criticism and harsh words, as he entered court room No. 3 before the bench of Justices R M Lodha and H L Gokhale in the hearing on the suo motu contempt proceedings initiated against him for allegedly attributing motive and doubting the way in which the apex court last year handled his petition seeking change of year of birth from 1950 to 1951. The former army chief, who had to appear without his lawyer Ram Jethmalani, was at the receiving end of the bench as well as attorney general G E Vahanvati. A request was made for adjournment of the hearing on the ground that Jethmalani was arguing before another bench, to which the Bench showed its discontent saying that since this to be a special bench constituted to hear the contempt matter, one should not take these proceedings lightly. The bench noted that the contemnor’s advocate on record was also not present, and if the lawyers are not present, the contemnor should explain his position. Asking him to be present in court on November 20 when it will consider drafting contempt of court charges against him, the Bench asked Gen Singh to file his response by November 15. An unconditional apology was published by the newspaper which had published Gen Singh’s contemptuous remarks on September 22. But senior advocate Fali S Nariman, appearing for the paper, said Gen Singh’s remarks were published in six other newspapers. The Supreme Court was of the view that criticism of its judgments was always allowed but what was not acceptable was the doubting the attribution of motive to its judgments, which made Gen Singh’s remarks so serious and unacceptable.